The history of W & J Graham’s spans three centuries and throughout that time this acclaimed Port producer has remained an independent family business. The story of Graham’s is the story of two families, both of Scottish origin – the Grahams and the Symingtons – whose commitment to the making of memorable wines has earned for Graham’s a reputation as a leader in the production of outstanding Vintage Ports. 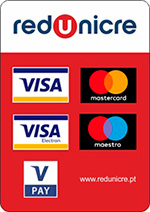 W & J Graham’s was founded in Oporto, Portugal’s second city, in 1820 by the two brothers William and John Graham. The Graham family already had extensive business interests not just in their native Scotland but also in India. The success of their affairs led to them being described by a contemporary historian, as being “among the merchant princes of Great Britain.” The brothers formed the partnership of W & J Graham & Co. with the aim of specialising in the production of the finest Port wines. They channeled their considerable resources and energy towards the pursuit of this goal. Through the 19th century, Graham’s went from strength to strength, attaining an unparalleled standing as a producer of fine Vintage Ports. In 1890 Graham’s became one of the first Port companies to invest in Upper Douro vineyards with the acquisition of the famous property; Quinta dos Malvedos. 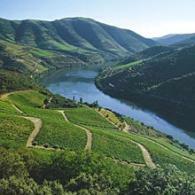 Using the extensive knowledge of the Douro Valley gained over the previous seventy years, the Grahams chose an ideal place to plant a vineyard; an excellent south-facing aspect, fine soil composition, good gradients that facilitate drainage and a perfectly sited ridge on which they built one of the finest of all the Douro’s great estate houses. 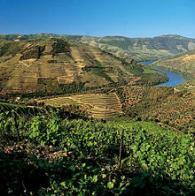 Since then Malvedos has been recognized as one of the Douro Valley’s finest ‘river Quintas,’ and the quality of the wines from the vineyard continues to be fundamental to Graham’s reputation as a leading producer of quite exceptional Vintage Port. Bearing further testimony to the company’s successful growth was the construction of a magnificent new lodge (wine store), also in 1890, for the storage and maturing of the company’s wines in the best possible conditions. The lodge was built on an impressive scale, its sturdy granite walls still hold within them over 3,500 casks of Port as well as many large oak tonnels and extensive Vintage Port cellars. Erected on a commanding site in Vila Nova de Gaia, a short distance from the Atlantic Ocean, the Graham’s lodge enjoys magnificent views of the ancient city of Oporto across the River Douro. The temperate, maritime climate is ideally suited to the slow ageing of Port. A succession of superb Vintages were produced by Graham’s, all landmarks in the history of Port; 1908, 1912, 1924 and 1927, followed by the monumental 1945 and the legendary 1948, all confirmed Graham’s as one of the very finest names in Port. It was this legacy of excellence that was relayed from one family to another when in 1970 the Grahams sold the company to the Symingtons who brought with them their own rich heritage in the Port trade.